The Twilight Saga: Eclipse is the third installment of the Twilight film series starring Kristen Stewart, Robert Pattinson and Taylor Lautner reprising their roles as Bella Swan, Edward Cullen, and Jacob Black, respectively. The film is an adaptation of the hit Twilight series novels written by Stephenie Meyer. It will be the first Twilight film to be released in IMAX. 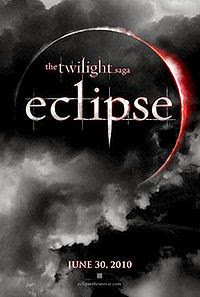 THE TWILIGHT SAGA: ECLIPSE opens on June 30, 2010.